Browsing the available "downloadable" selections on Netflix can sometimes be a drag. There are evenings when Greg and I will browse for seems like a ridiculous amount of time before we finally settle on something or nothing at all. We seem to find items that we both are attracted to in the "Eco- Science & Nature Documentaries" but usually I'm interested in action thrillers while Greg prefers documentaries. Occasionally we get lucky, such was the case with "The Eye Has to Travel." This portrait of the fashion visionary Diana Vreeland was such a pleasure to watch, completely exceeding our expectations. "Style is everything...style is a way of life. Without it, you're nothing." As an artist and one whose work falls within the domain of fashion, I am deeply attracted to the creative side of this world and the individuals who manage to survive and exceed in it. 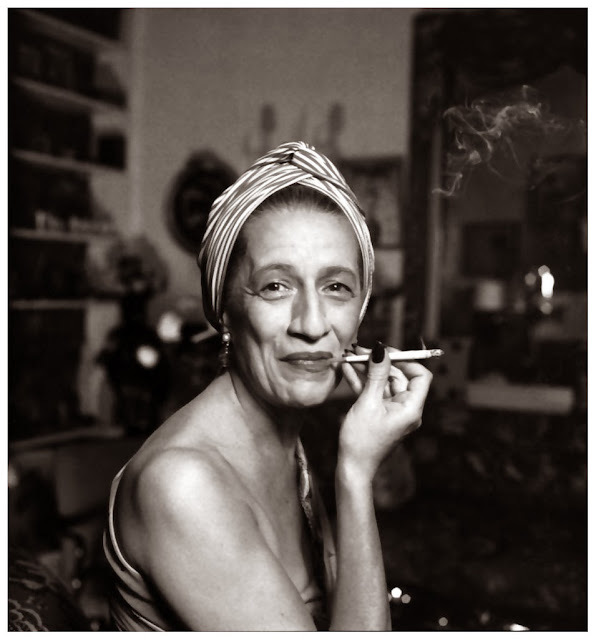 Madame Vreeland was born in Paris in 1903, she was pulled from a traditional education at an early age and to focus on dance, her first love and a respite from her psychologically abusive mother. In both the film and the book "Empress of Fashion" by Amanda Mackenzie Stuart, the shift from the constraints of the Brearley school to a less academic school in the morning followed by afternoon attendance at the Louis Chalif's dancing school made a huge impact on her dreadful home life. In her diary, documented by Ms. Stuart, Diana wrote "...I wish I could do nothing but take a long warm bath with loads of perfume & dance dance dance." 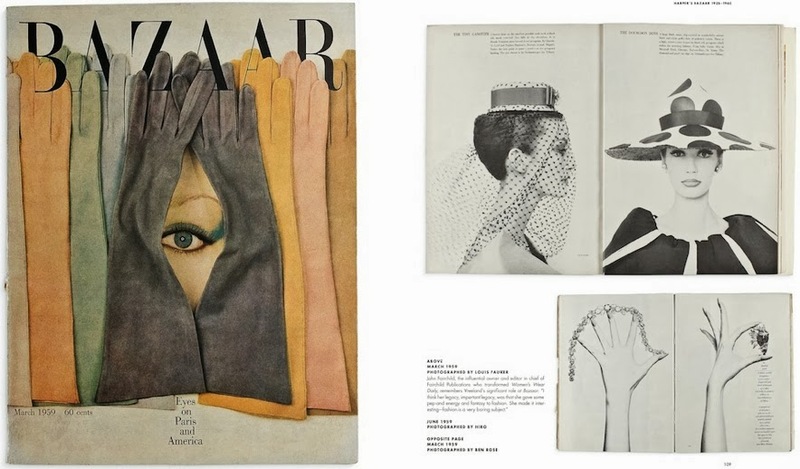 Her career in fashion began in 1936 with a simple, yet outlandish column in Harper's Bazaar titled "Why Don't You...?" The eccentric Vreeland gave advice to women ranging from unconventional mothering tips to fashion pointers. Soon she became the editor of Harper's Bazaar followed by editor of Vogue and finally a special consultant to the Costume Institute at The Metropolitan Museum. She was pure genius as an arbiter of style, add healthy doses of cutting edge ideas with a keen eye on spotting, or perhaps even creating, trends. 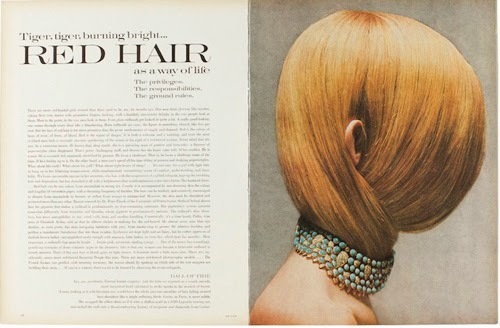 Other films portraying Diana Vreeland's outlandish and unconventional character are Infamous (2006) by Juliet Stevenson and Factory Girl (2006) by Ileana Douglas. Diana captured my heart because she was so completely authentic, using her creativity to reinvent, empower the arts and inspire others to do the same. Bravo to a luminous, completely unique spirit. More about at the Diana Vreeland Estate website devoted to her memory.